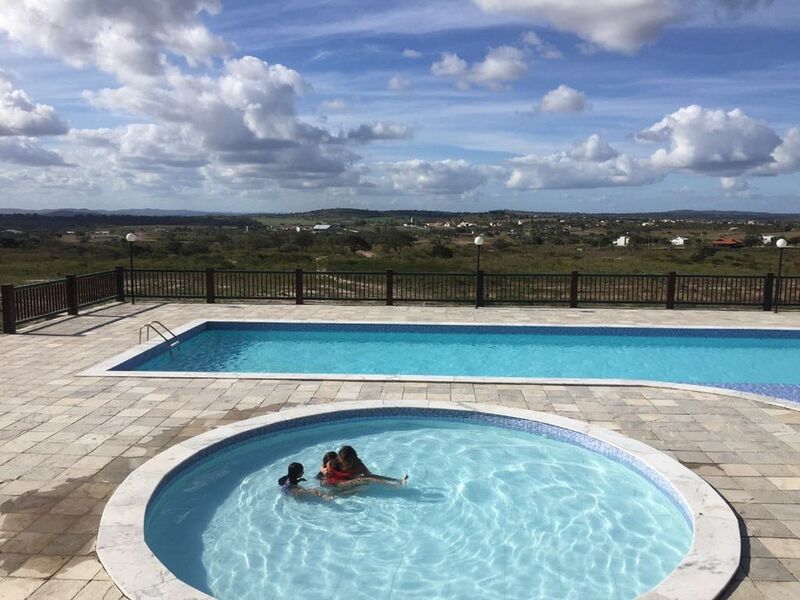 Flat of field located in the Condominium Villa Monte Castelo, within the enterprise of the Hotel Fazenda Monte Castelo, with several leisure options like swimming pool, games room, rural trails, children's recreation. The Condominium is 20 minutes from the city of Gravatá and 40 minutes from the city of Caruaru. The Condominium has maid service for all flats 1 time per day, except on Mondays, which includes housekeeping and general cleaning except dishwasher. The lodging includes pillows, bed linen and bath (no exchange during the stay). The kitchen has all the utensils, such as plates, glasses, cutlery, pots, blender, sandwich maker etc. Rooms with air conditioning. The guest will have access to the leisure area of ​​the Villa Monte Castelo Condominium and the Hotel Fazenda Monte Castelo, including children's recreation at the hotel on weekends and during school holidays.